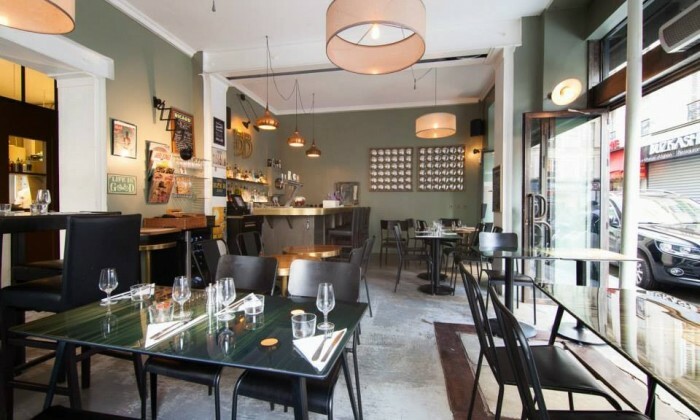 Le Bouchon Des Batignolles also called BB 17, a brewery located in the heart of the Batignolles district, at 2 rue Lemercier, angle with the rue des Dames, welcomes you in a friendly and festive decor. The Boss, Marseille offers a cuisine with straight came from Corsica. Good small Mediterranean dishes that take you to the dry landscape and brings warmth. The concept: An endless tapas menu of any kind to eat alone or with friends, perfect with a good bottle of "Cuvée Castellu Vecchiu" straight from the mountains Corsica. BUT .... The BB17 is not only a restaurant but also a wine bar where we just drink shots with friends listening to good music. IN BB17 you can privatize part or all of the restaurant to come and celebrate your birthday or other festive event. The BB17 or subtle blend between Corsica and Marseille. The sun, the accent singing and good humor.